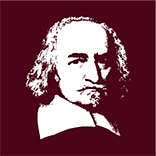 This page lists events and conferences on Thomas Hobbes organised by the European Hobbes Society and others. If you would like to publicise an event on this page please contact the Membership Officer. This is the second of two workshops part of the European Hobbes Society's inaugural research project on Hobbes and the Politics of religion. See here for more information.